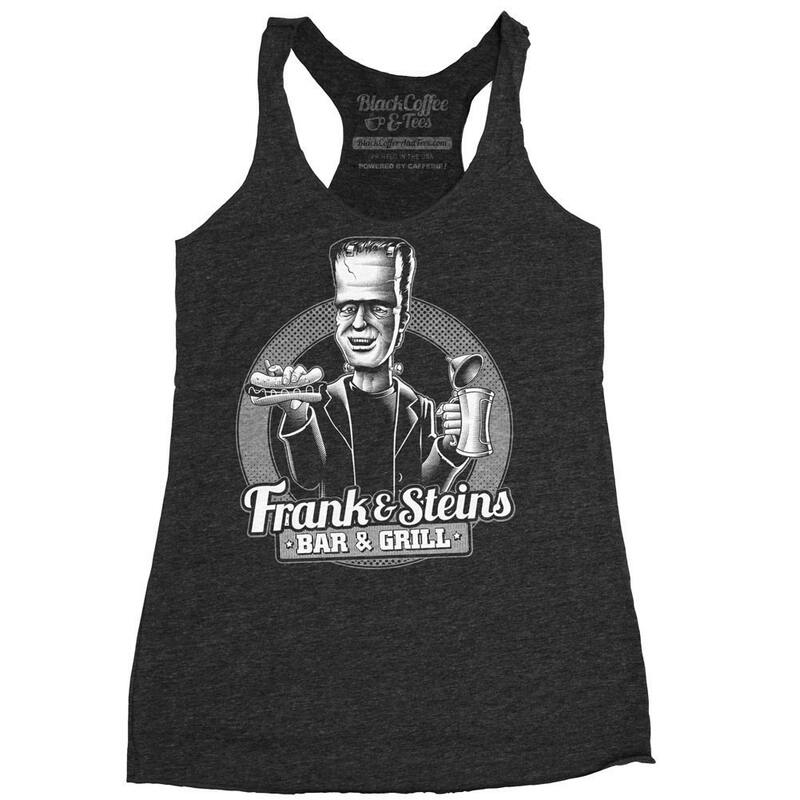 Women's Frankenstein Tank Top. 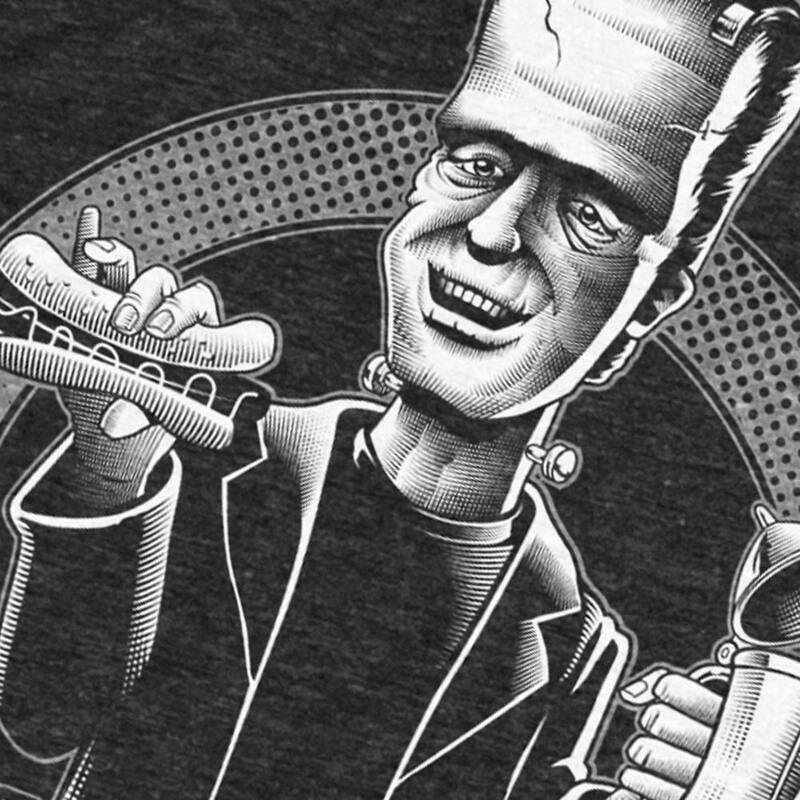 Hand Screen print of Frankenstein Drinking Beer. Get it? Frank & Stein Bar & Grill. Beautiful & comfy! 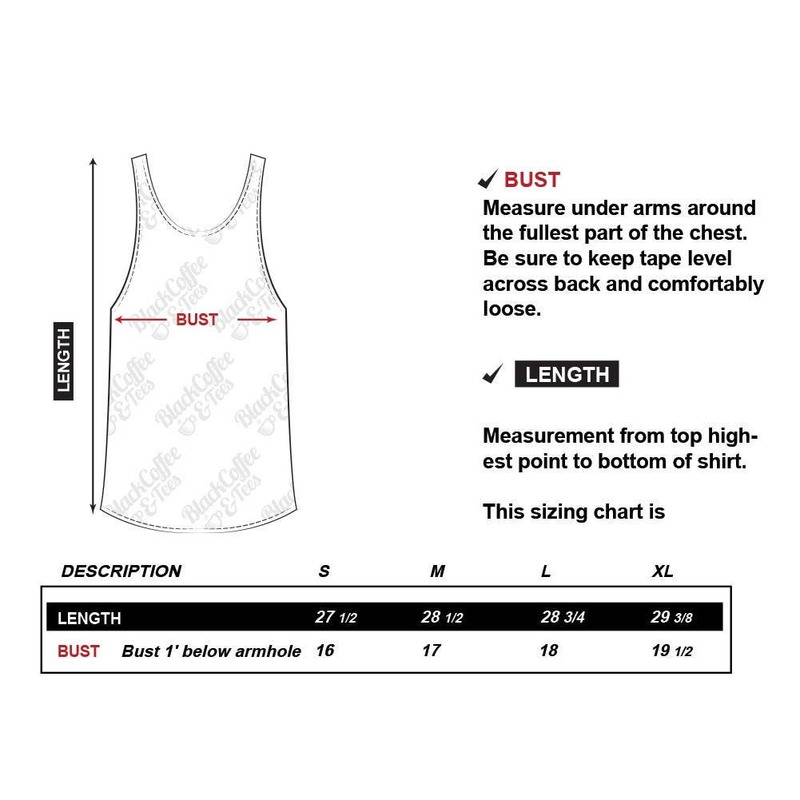 The shirt is really nice quality & looks great on. I'm definitely gonna order loads more from this shop.